After over a year of development Michael Hanney has released the official 1.0 version of Zwiftalizer, a web-based tool for analyzing Zwift logfiles. The final product is very solid and polished. Recent changes including using https for security sitewide, plus site mirroring for reliability and sub 1-second load times. 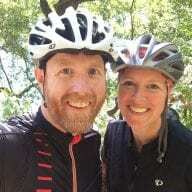 Give it a try by visiting Zwiftalizer.com and dragging a Zwift log file onto the page. 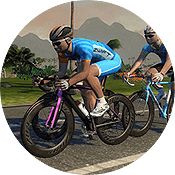 Zwift records logs which are stored under Documents\Zwift\Logs on your system. Zwiftalizer simply digs into that file’s data and presents it in a useful way so you can quickly evaluate your system’s performance. A note from Michael Hanney re: security: in case anyone is worried about posting their personal information (username is in the log), they can rest assured, the log file does not actually leave their computer. All the processing is done client side. 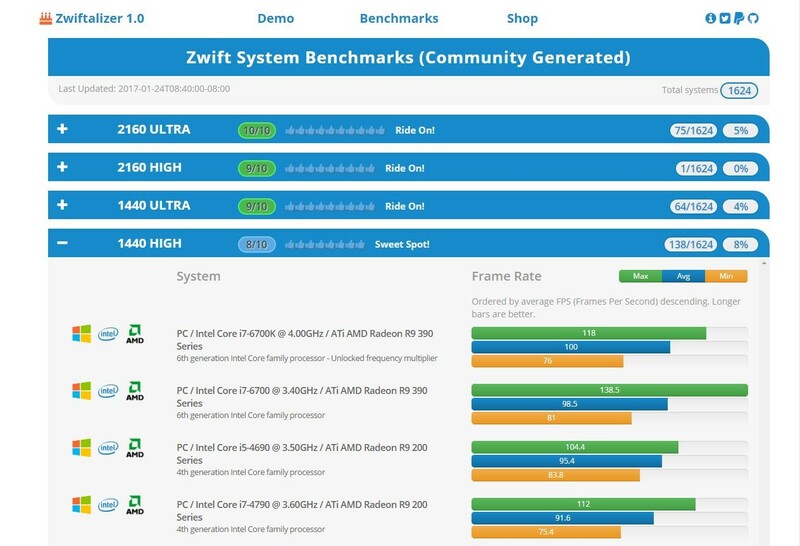 Zwiftalizer analysis results let you see exactly how well your system is performing. The results of each log analysis (just the results, not the log files themselves) are stored in Zwiftalizer’s Benchmarks database, allowing other Zwifters to see what level of performance particular system setups deliver. Zwiftalizer’s Benchmarks database contains the results of thousands of Zwift sessions across hundreds of different hardware setups. PreviousWhich Zwift Bike Climbs Fastest? Interesting stats at the end there. Love checking my Zwiftalizer stats. I went from a setup that struggled on 576i basic then upgraded to a new laptop that was capable of 1080p ultra quality at 60+ fps. The difference is bloomin marvellous! 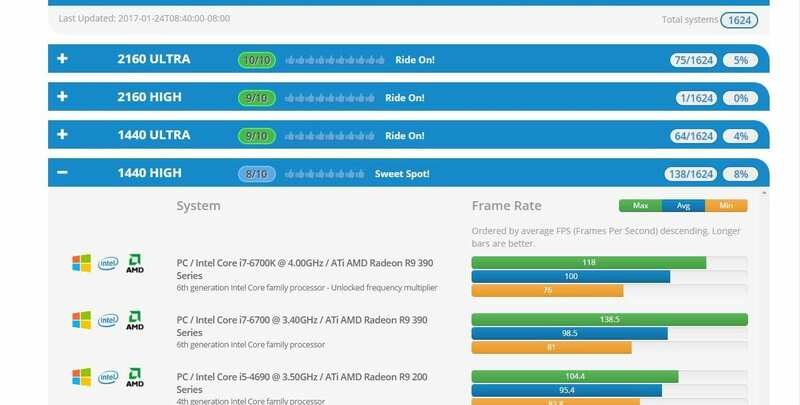 Does anyone have screenshots showing the difference between high/low end graphic cards for Zwift? I’d like to see what the difference is and if it’s worth upgrading my Zwift pc with something better. Thanks! 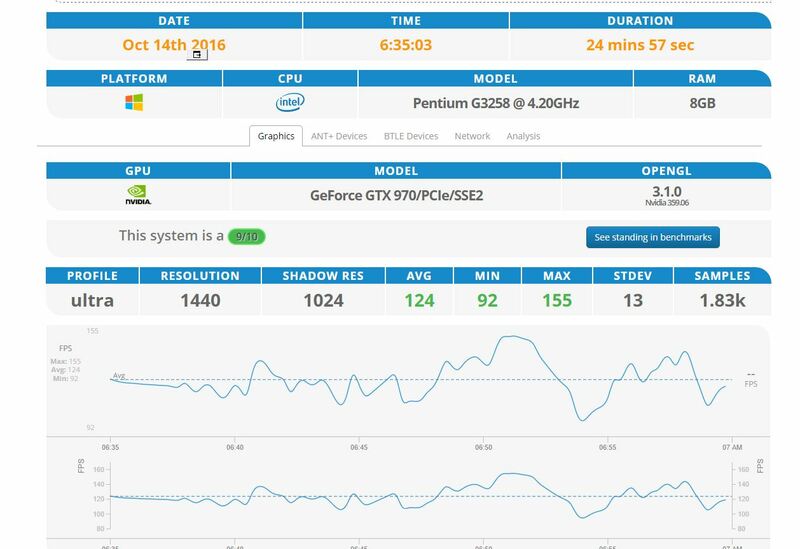 What sort of performance are you getting now on what settings? It really depends of what is worth it for you. I can now read the pop up messages from other riders (not really that important) and the detail is SO much more in depth on 1080p ultra. I found it worth it just for the increased frame rate – my old laptop’s display got really jerky on busy group rides, down to single digit frame rates at times! I’m on a Intel Iris Pro Graphics 5200 – old work laptop. Spec from Zwiftalizer below. It’s smooth w/o jerkiness, but would probably get more details with a modern, discrete-based video card. The log file shows an ANT+ drop out at 8 minutes into the ride. For the heart rate sensor, I see that the signal moves between 3 and 4 until it jumps down to 0 and immediately back up to 4 – this happens exactly when also the drop out takes place. However, I didn’t receive heart rate anymore after the drop out. The signal of the power meter moves between 3 and 5 before the signal, then jumps up to between 5 and 7 at the drop out. What a great example of how to present a really nice, simple web front-end that has some useful/interesting features. Best of all, it doesn’t have silly ads and is as pure as it gets.